I’m not sure if the blossoms have been more spectacular this spring – or if by pointing out EVERY SINGLE FLOWER on our walks, the toddler has turned me into a plant addict! 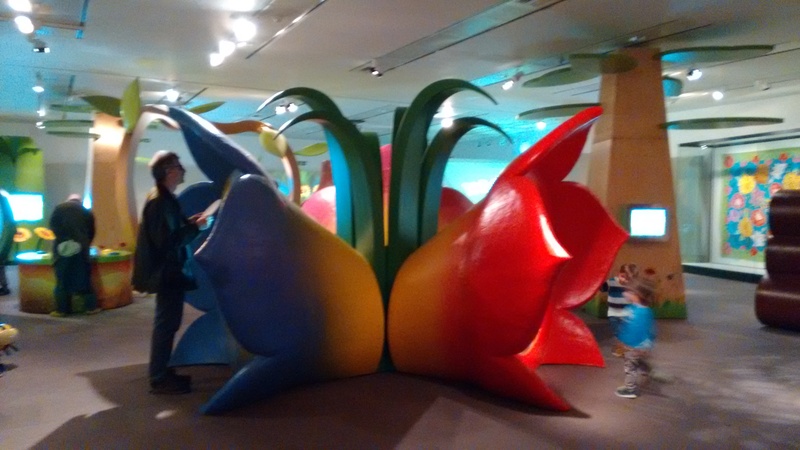 Inspired by the toddler’s love of nature, we made the voyage south of the river to Plantastic – an exhibition dedicated to plants at the Horniman Museum. As soon as we stepped inside I knew it would be a hit – the combination of bright colours and oversized plants just shout ‘FUN SPACE’! Anyone else thinking ‘Honey, I shrunk the kids’? 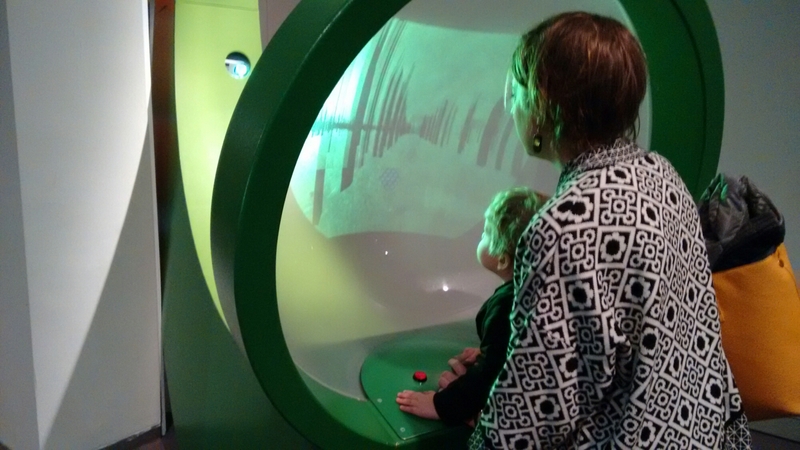 The large, hands-on interactives meant the toddler was straight in there – crawling through giant plant root systems, turning handles and pressing buttons. Inflatable plants? Whoever heard of such a thing? Puffing, sniffing, drawing, puzzling – this exhibition really needs ‘doing words’, as I was taught to call verbs, to describe it! There are short panels in three languages – English, French and Spanish – but really, it is learning through doing. Forget puzzle trees – here’s a puzzle plant! There’s a really good mix of games and interactives – from 3D puzzles putting together a plant’s reproductive system, to computer flying simulators of how a bee sees the world. The games have been well selected so that almost all benefit from having an adult join in – making it a great space to play together. 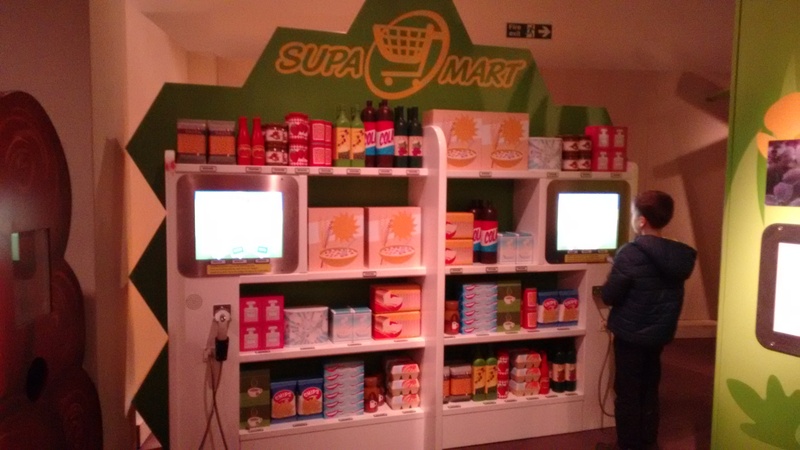 One of our favourites was the ‘Supa-Mart’, a mock up shop with life size plant based products. You had to answer the questions on the digital screens by ‘scanning’ the barcode on the related product. Play shops and learning? Spot on! 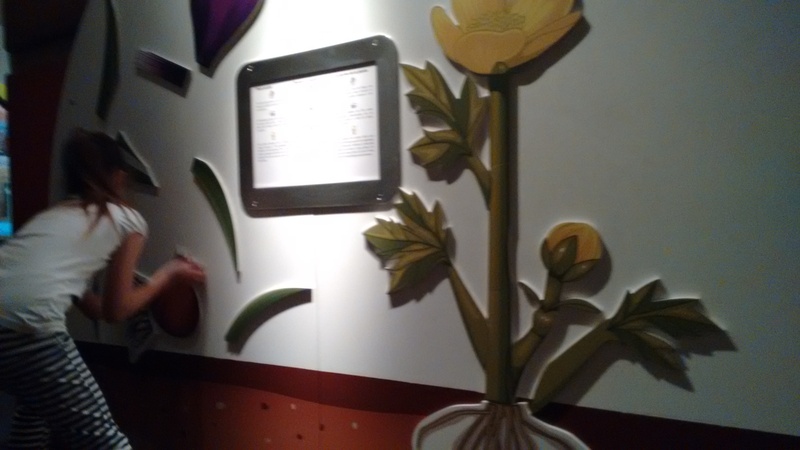 The range of interactives – including group plant quizzes – makes it a good choice for a mixed age group family. When we fancied a rest, or a feed, there was a bean bag area with birdsong, soft toys and stories which was a perfect counter to the activity. 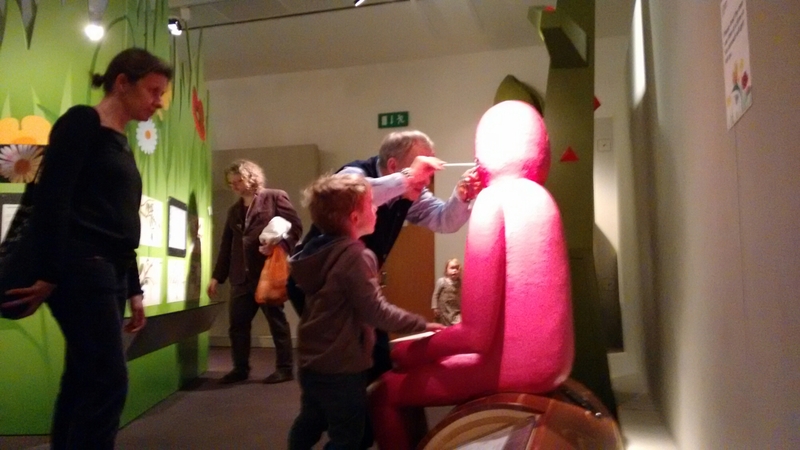 As with most hands-on exhibitions, a couple of interactives didn’t work but that turned out to be my son’s highlight. A large red man was meant to be fed different ‘plants’ on discs – but unfortunately it seems they didn’t agree with him and got stuck. I’m hoping the fascinating fix – sticking a ruler down his throat – won’t be renacted at home! 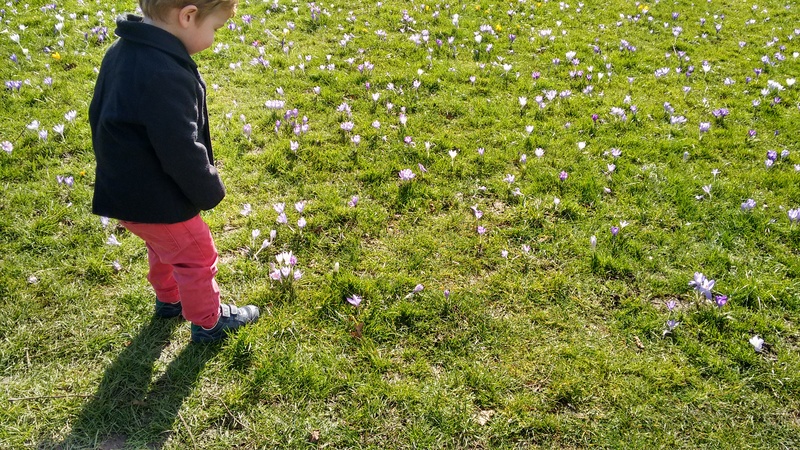 Going out to enjoy the sunshine, straight away the toddler ran to the crocus, said ‘plants’ and smelled them! He also tried to step on them, but hey, that’s a form of interaction, right? 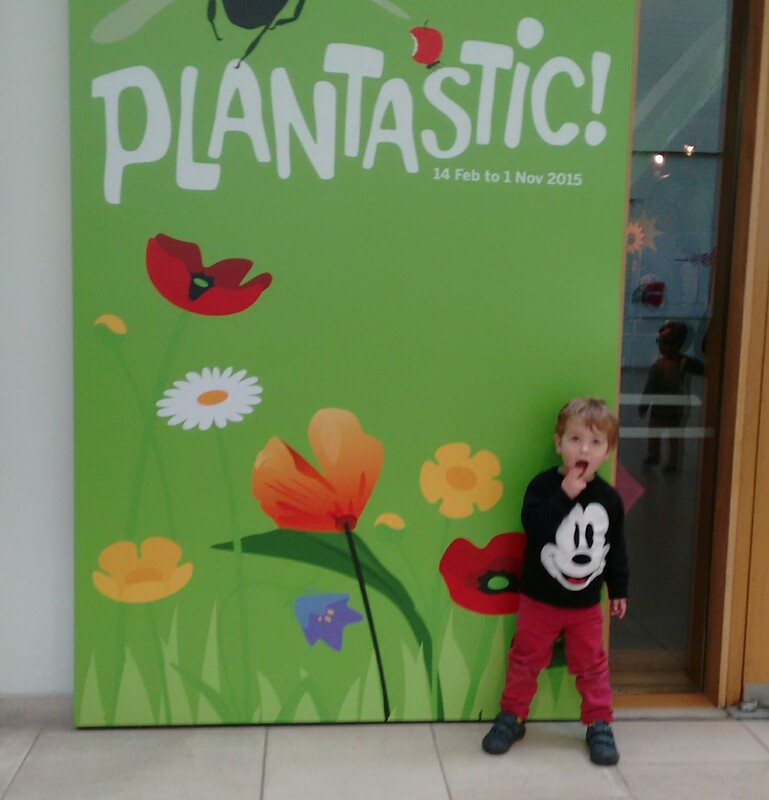 The exhibition had definitely inspired a budding botanist. 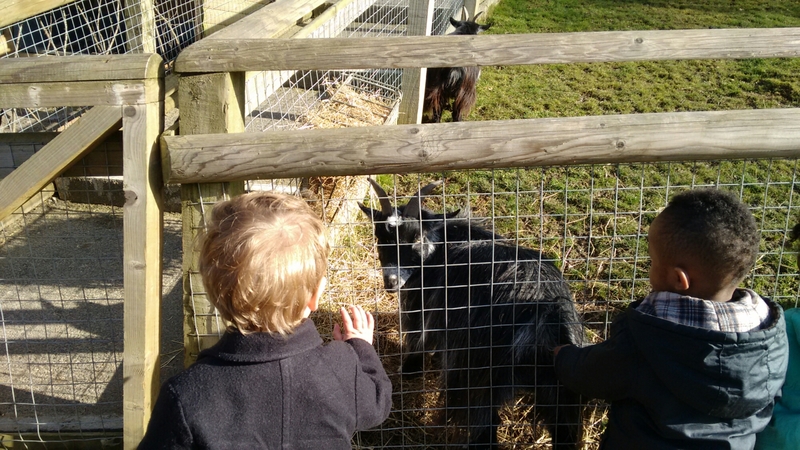 The gardens are fantastic with a petting zoo, a formal courtyard, a music garden and plenty of space to picnic and play. Best of all were the incredible views over the London skyline. 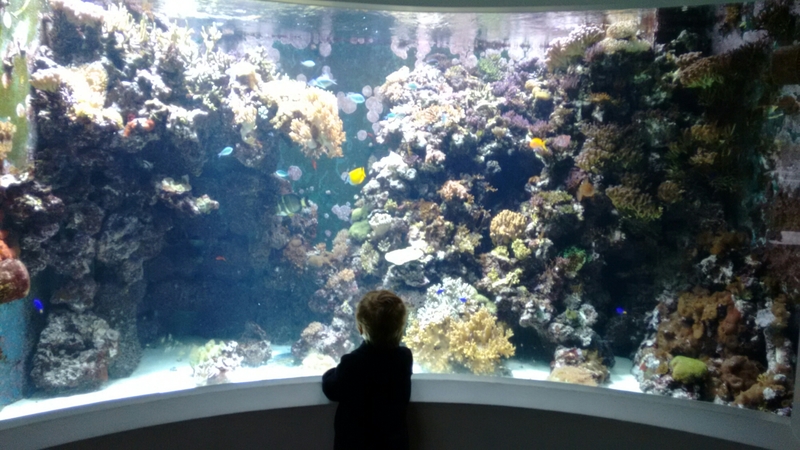 We finished our visit by popping in to the Horniman aquarium to see the fish – and ask ‘the man’ the burning question of where the door to the left of the first room went (answer: behind the tanks to feed the fish). Nothing fishy going on here! This summer, give softplay a miss – you won’t be disappointed. 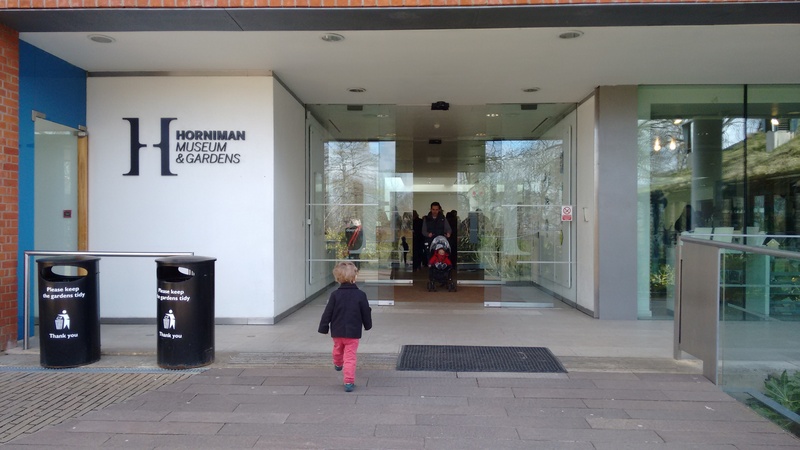 Plantastic is a great hands-on discovery centre type exhibition for families to play together – and with all the Horniman’s other indoor and outdoor activities it makes for the perfect day out. Just check on that poor red man for us, won’t you? –Combined ticket with Aquarium available. 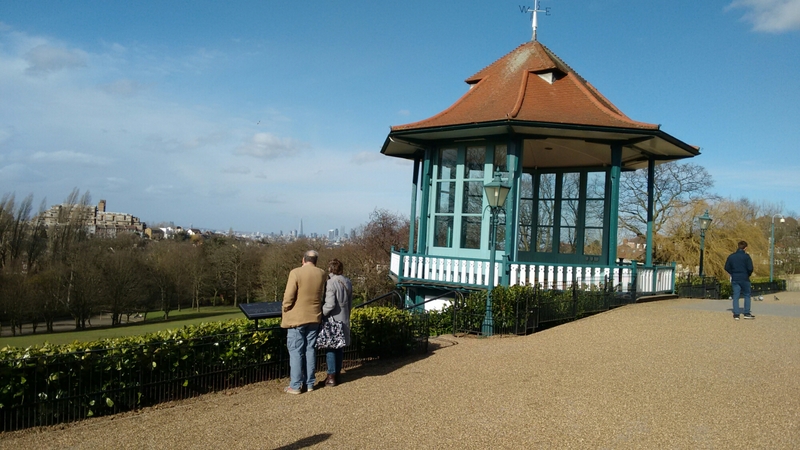 Nearest playground: There’s plenty to explore in Horniman’s own gardens – but for a playground proper, just pop over the main road to Horniman’s Triangle which has a sandpit, webbed climbing frame, and a cafe. Baby change: One baby change facility in the disabled toilet, with fold down baby change and working strap. They also have a separate, dedicated baby feeding room with soft chair with arms, and a mirror. Kudos. Toddler time to toilets: They’re on the same floor, so you can do it in a minute. Want to make more of a day out of it? Check out the museum’s hands-on exploration activities, galleries on natural history, and other cultures. Or do more plant-inspired exploring in nearby Dulwich Park. Previous Post Failure: an illustrated guide OR Happy Birthday Museum Mum!